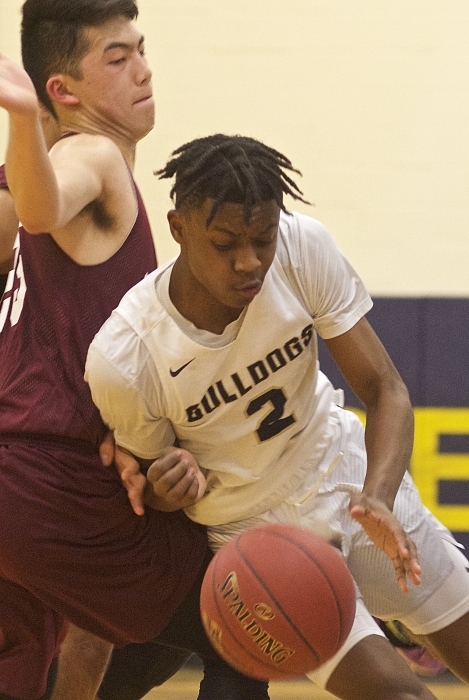 The Beacon High School team is off to a good start, with the Bulldogs — who returned just two starters from last year’s 14-8 team — winning three of their first five games. 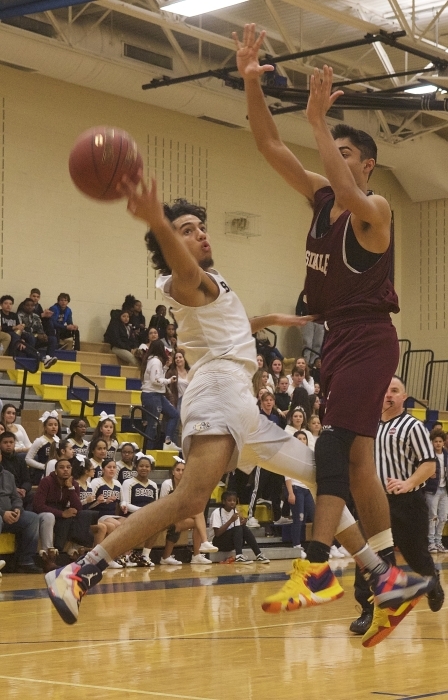 Seniors Aaron Davis and Manny Garner are the only returning starters from the 2017-18 squad, which reached the Section 1, Class B playoffs but lost in the first round. Trey Dino, Shane Green, Ebow Simpson and Demetrius Galloway (who is injured) all return, joined by Ian Bautista, Lionel Cumberbatch and Adrian Davis. The coach said he is confident the Bulldogs can again reach the playoffs. 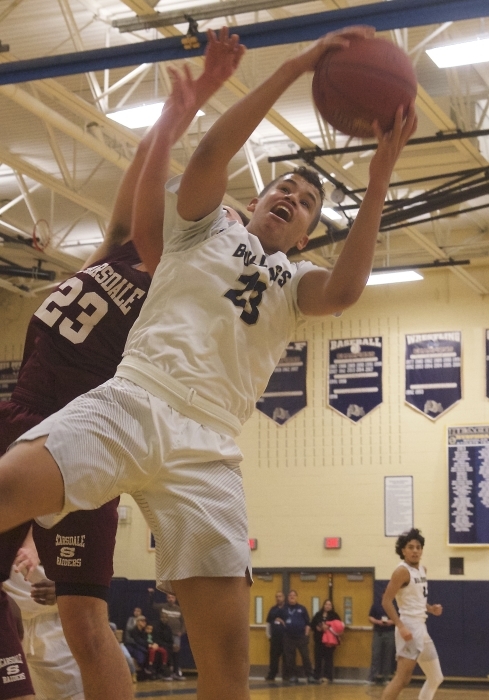 Most recently, Beacon defeated Marlboro, 64–48, on Wednesday (Dec. 12) in the consolation game of their own Terrence Wright Memorial Tournament. Thompson led the Bulldogs with 22 points, while Davis added 15 and Garner had 14. 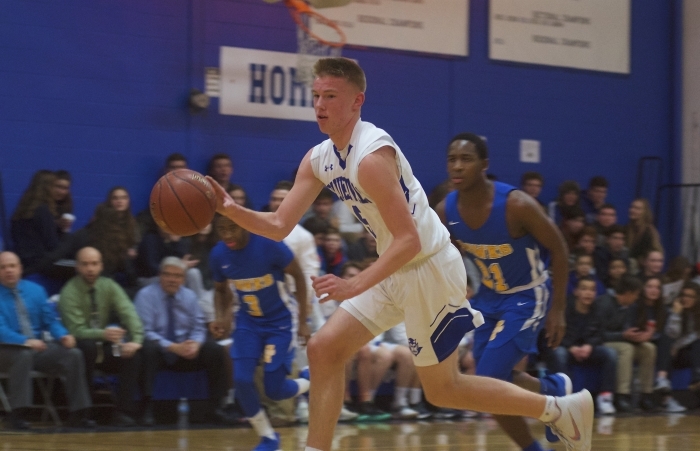 The squad had lost a close, sloppy game on Tuesday, falling to Scarsdale, 40–36, in the first round of the tournament. Thompson led the Bulldogs with 15, Davis added 11 and Torres had six. 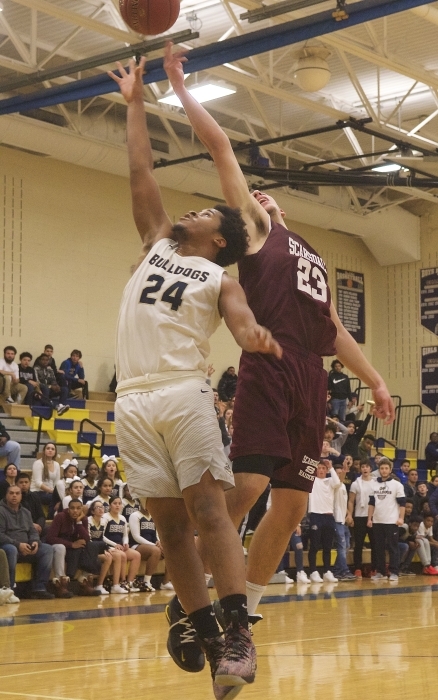 Against Scarsdale, the Bulldogs couldn’t get their offense in gear, coming up with just seven points in the fourth quarter, and 15 in the second half. 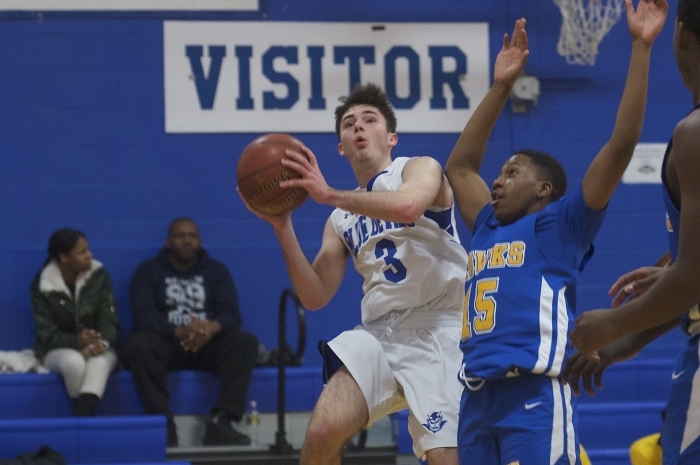 Last week, the Bulldogs began the season with a victory over Port Chester, 71-55, on Dec. 7, and a loss to Suffern, 75-72, on Dec. 9. 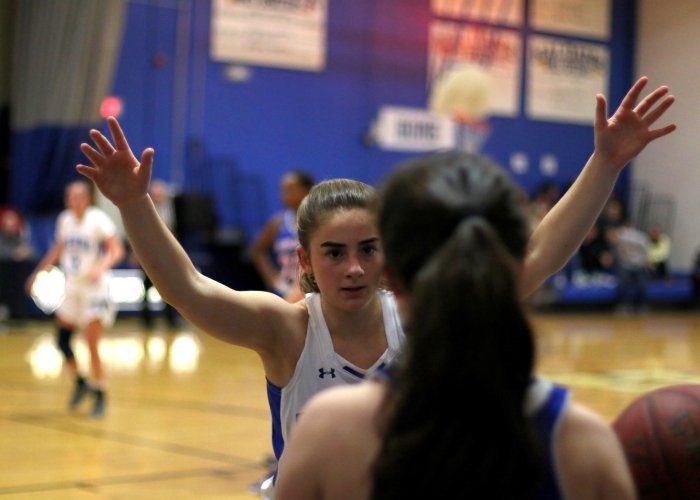 The Bulldogs are scheduled to visit Harrison on Monday, Dec. 17, and John Jay East Fishkill on Dec. 18. Last year’s team finished the regular season at 14-6 but ended the year on a disappointing note by falling in the Section 1, Class C championship to Alexander Hamilton. 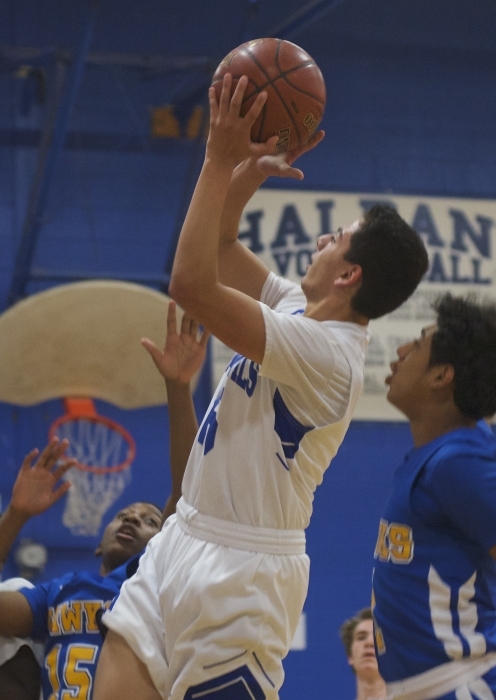 Haldane last won the section in 2016 on its way to the state title game. Virgadamo this season is starting nearly from scratch. Junior Matt Champlin is the only returning starter, and the only other returning player is junior Alex Kubik. The newcomers are seniors Kyle Sussmeier, Devon Siegel and Peter Rodriguez; juniors Mame Diba, Jagger Beachak and Collin Eng-Wong; and sophomores Dan Santos, Darrin Santos and Doug Donaghy. 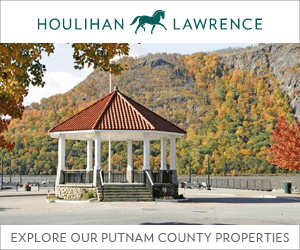 The Blue Devils opened the season by easily defeating Webutuck, 60-33, and Pawling, 63-29. They lost to Pleasantville, 54-49, on Dec. 4, but rebounded to defeat Martin Luther King Jr. High School from Hastings, 72-43, and Children’s Village, from Dobb’s Ferry, 77-42. 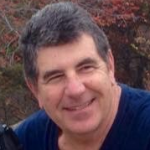 They traveled to Solomon Schechter on Thursday. Against King, Champlin led the Blue Devils with 21 points, and Sussmeier added 14. Against Children’s Village, Champlin scored 19, Diba had 11 and Kubik added 10. In the loss at Pleasantville, Champlin scored 19 and Kubik added 18.